A natural antioxidant found in grain bran could preserve food longer and replace synthetic antioxidants currently used by the food industry, according to researchers at Penn State. "Currently, there's a big push within the food industry to replace synthetic ingredients with natural alternatives, and this is being driven by consumers," said Andrew S. Elder, doctoral candidate in food science. "Consumers want clean labels—they want synthetic chemical-sounding ingredients removed because of the fact that they don't recognize them, and that some of them (the ingredients) have purported toxicity." The Penn State researchers studied a class of compounds called alkylresorcinols (AR). 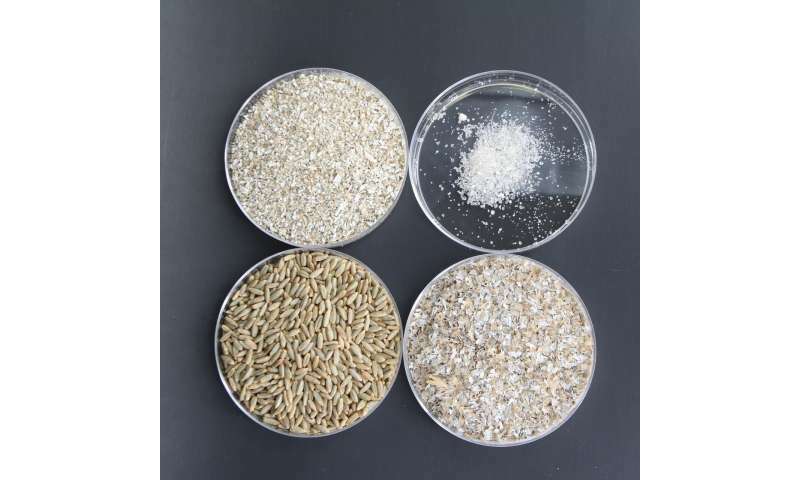 Plants such as wheat, rye and barley produce ARs naturally to prevent mold, bacteria and other organisms from growing on the grain kernels. The researchers wondered if ARs could also preserve food in the same way from a chemical standpoint. Along with using more natural ingredients, the food industry is also supplementing more foods with healthy oils rich in omega-3 fatty acids. Adding these healthy oils to foods that normally would not contain them could boost the health benefits of these foods to consumers. However, omega-3 rich oils have a shorter shelf life, which could cause these foods to spoil more rapidly. "Most people consume omega-3s from marine sources," said Elder. "As they break down, they can make the product smell and taste fishy. Consumers then throw these products out and don't buy them again, and this results in an economic loss." Antioxidants are compounds that slow the rate at which omega-3 fatty acids degrade, preserving their health benefits and preventing food from spoiling as quickly. While consumers demand more natural ingredients, the food industry has struggled to find natural antioxidants that are as effective as synthetic ones. "There are not many natural alternatives for synthetic antioxidants," said Elder. "Our work is focused on identifying new natural antioxidants to extend the shelf life of food and meet consumer demands." ARs have health benefits for humans as well and can help protect against cancer, according to a review published in European Food Research and Technology, making them ideal natural additives. ARs also come from the bran layer of cereal plants, which the food industry usually discards or uses for animal feed. "Bran is often a waste stream," said Elder. "We're taking something that's usually discarded in a waste stream and turning it into something useful." 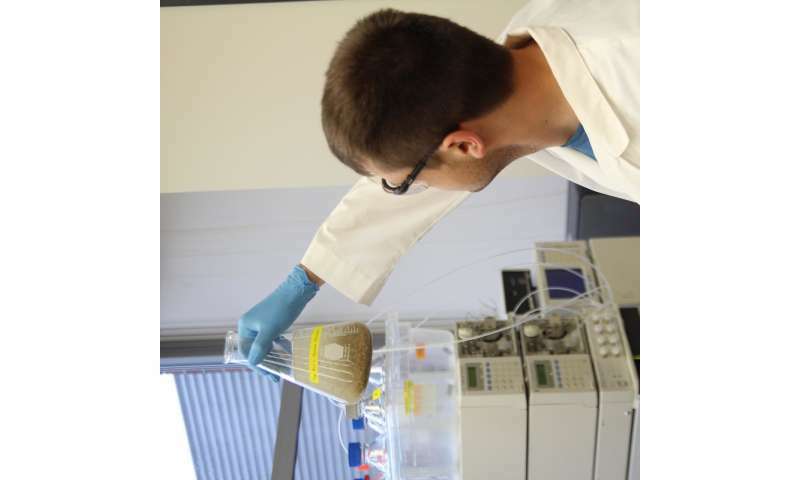 The team developed a technique to extract and purify ARs from rye bran, then studied how well ARs were able to preserve omega-3-rich oils in emulsions, where two fluids do not fully mix—for example, vinegar and oil. The researchers chose to study AR action in emulsions because most people consume oils as emulsions, such as salad dressings. The researchers reported their findings online in Food Chemistry, and the study will be published in the January print edition. The researchers found that ARs did act as antioxidants in an emulsion, preventing omega-3 oils from spoiling as rapidly as they did in emulsions with no antioxidants added. Then, they compared ARs to two antioxidants widely used by the food industry—alpha-tocopherol or Vitamin E, a natural antioxidant; and butylated hydroxytoluene, a synthetic antioxidant. However, ARs were not as effective as either the natural or the synthetic antioxidant. Although the ARs did not work as well as other antioxidants in this round of experiments, the researchers noted that their AR extracts were not completely pure, which could have reduced the effectiveness of the ARs. Also, the researchers used a blend of different ARs that had different molecular structures. Future work looking at different types of ARs will reveal whether an individual AR type is more or less effective than conventionally-used antioxidants. "We're trying to identify natural antioxidants that are consumer-friendly, safe and effective," said Elder. "We hope that one day this work will lead to ARs being available on the market and provide more options for the food industry to use."